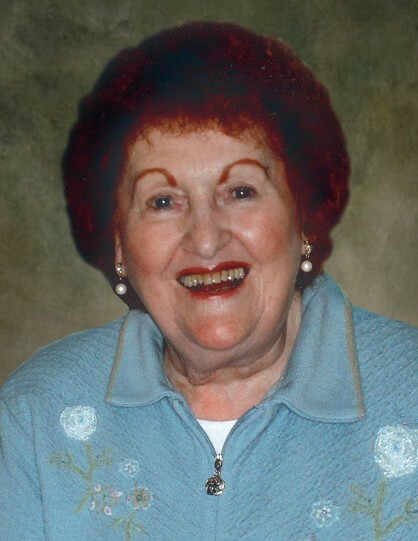 Evelyn Parke, age 93, of Chisago City, passed away peacefully on August 25, 2018. She is preceded in death by her husband, Robert, and her parents, Clarence and Mabel Sorensen. Survived by her sister, Donna Johnson; sons, Kirk (Roseann), Kent, Keith (Wendy) and Ken (Gloria); eight grandchildren and seventeen great grandchildren; four nieces and two nephews. Born in Wayne, Nebraska on August 11, 1925, Evelyn met her husband, Bob, in the church choir and they were married in 1945. They moved to Minnesota for Bob’s work and lived in Columbia Heights, Fridley, Owatonna and Rush City. Evelyn worked as a dental assistant and medical receptionist for many years at various offices. Evelyn and Bob moved to Weslaco, TX where they had a fun and active retirement, making many trips to Mexico. After Bob’s passing, she moved back to Minnesota and settled in Chisago City. Evelyn was famous among family and friends for her repertoire of salad recipes. She was a beloved Mother, Grandmother, and Great Grandmother whose cookie jar was always full. Evelyn loved birds, butterflies and music. She will always be remembered playing her organ while the grandkids marched around the living room “playing” their instruments. Funeral Services will be held at 10:30 a.m., Wednesday, August 29, 2018 at Mattson Funeral Home, 343 North Shore Drive, Forest Lake. Visitation one hour prior to the service at the funeral home. Interment at Fort Snelling National Cemetery.